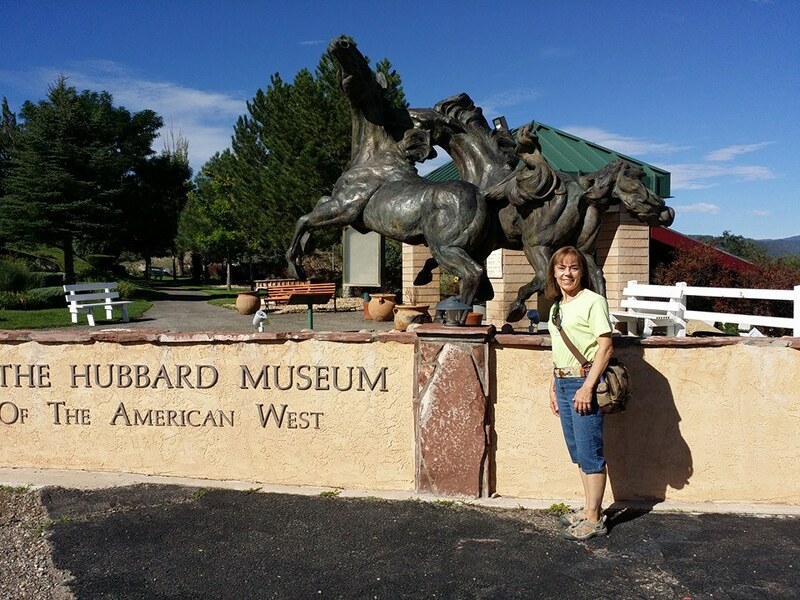 Located at the entrance to the Hubbard Museum of the American West in Ruidoso Downs, New Mexico is one of the largest equine sculptures in the world. 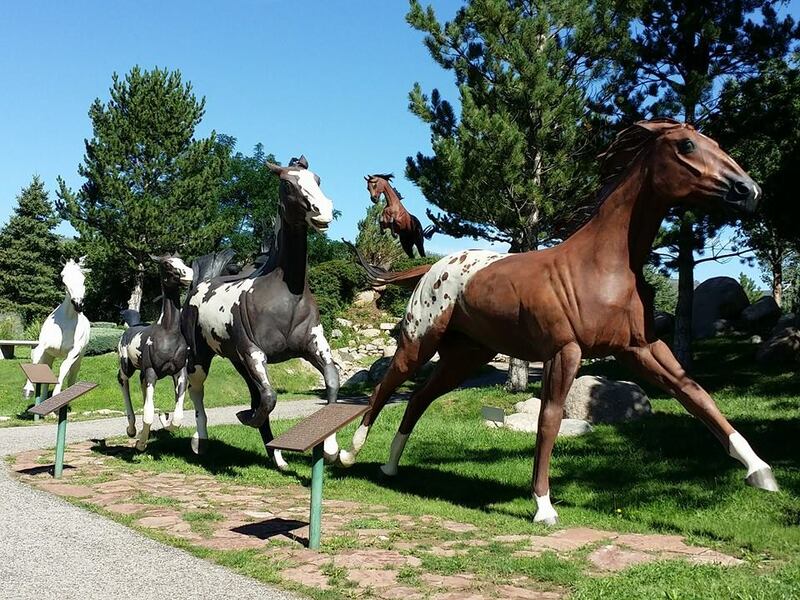 "Free Spirits at Noisy Water'' is a monumental outdoor bronze exhibit that depicts eight larger-than-life horses running through a natural landscape. 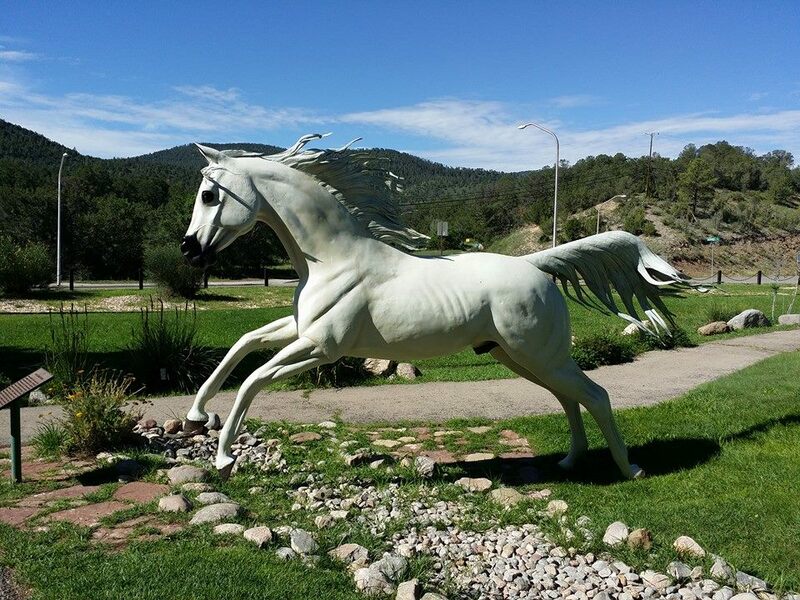 It was created by award-winning New Mexico artist Dave McGary and installed here in July of 1995. Totaling 255 feet in length with the trailing horse rising 36 feet in the air, monument is an engineering feat. Each figure weighs between 3,000 and 5,000 pounds, yet the group of them balances on only nine hooves - an attempt to show how a galloping horse has all four hooves off the ground at some instant during its stride. In fact, the paint mare foal is welded to its mother to appear totally airborne. Free Spirits at Noisy Water is one of the most photographed works of art in the state. The bronze horses are finished in patina and paint to look exceedingly realistic. Seven different American breeds are represented: Thoroughbred, Quarterhorse, Appaloosa, Paint Mare with Foal, Arabian, Morgan, and Standardbred. Free Spirits at Noisy Water is located at 841 Hwy. 70 in Ruidoso Downs. The installation has been valued at $1.5 million.